Organizing for America (OFA) was a community organizing project of the Democratic National Committee initially founded after the presidential inauguration of Barack Obama. The group sought to mobilize supporters in favor of Obama’s legislative priorities, particularly the Affordable Care Act, also known as Obamacare. Organizing for America is composed of 50 different state organizations, united by a single national umbrella. Organizing for America has provided logistical support to local community groups, including holding conference calls with volunteers, sponsoring events and house parties, using social networking and New Media and providing talking points. When former President Obama left the White House he promised to remain active in politics to help the Democratic Party get back on track. As a result, OFA has amassed army of volunteers numbering more than 30,000. To help ensure their success OFA conducts leadership and development training programs for their staff and volunteers. Training includes workshops recruiting and training activists to become skilled organizers to developing the skills of mid- and senior-level staff throughout the progressive community. OFA’s agenda is Obama’s agenda. 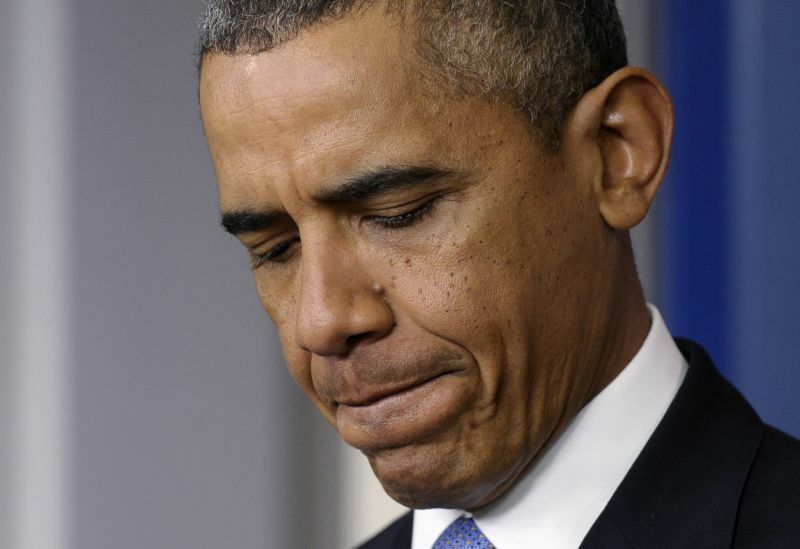 Barack Obama does not want to see his administration’s agenda and legacy wiped off the map. Determined to salvage Obama’s legacy, OFA is drawing battle lines on immigration, ObamaCare, race relations and climate change. Obama is reportedly intimately involved in OFA operations and even tweets from the group’s account. In fact, he reportedly gave marching orders to OFA foot soldiers following Trump’s upset victory. If this is true, OFA can orchestrate activist to fight and protest Donald Trump at every turn of his presidency. Obama can do this, not from an undisclosed bunker in the mountains, but from the easy chair in his office located approximately two miles from the White House. Is former President Obama and OFA serving the people by training and organizing citizens to protest against President Trump when it comes to defending the Obama agenda? At the end of last year President Obama claimed that he could have won a third term if he had been allowed to run. Hmmm. That’s interesting. 17 established politicians thought they could beat Donald Trump and none of them are in the White House. Obama’s popularity and his agenda was not popular enough to get Hillary Clinton elected or to get enough people, including black folks, to come out and vote. The former president blamed the media for holding Hillary Clinton to a double standard, insisting that she “performed wonderfully” despite her loss. But he suggested that she did make a mistake for focusing more on Trump than her own economic message. Donald Trump has been President for about two months. The country is probably more divided today than it was when Obama was in office. Here’s a question. Why don’t the Democrats, including Hillary Clinton and the former President acknowledge that Hillary Clinton was a flawed candidate who ran a horrible campaign. That’s one of the many reasons why she lost the election. Another possible reason for her loss is that President Obama had lost a little bit of his political “Mo-Jo,” and no one bothered to tell him. Over the years Obama has whined and complained about outside interferences. He blamed Fox News, Rush Limbaugh, and the National Rifle Association for disrupting his message of hope and change. That’s all true, but he knew that going in. Donald Trump is finding out what all new President’s discover—that the job of being President of the United States of America is big job and NOTHING can prepare you for the task. 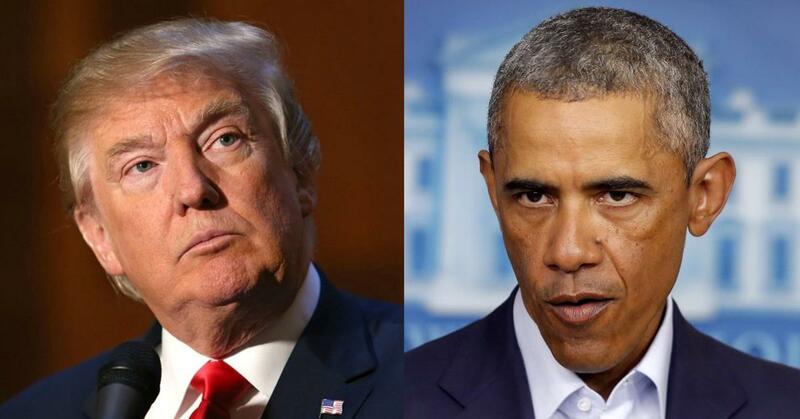 It’s pointless to discuss whether or not Barack Obama could have beat Donald Trump in an election because the two will NEVER run against each other. Obama is concerned that President Trump is going to wipe out Obama’s legacy. That’s probably President Obama’s main focus and what keeps him up late at night. 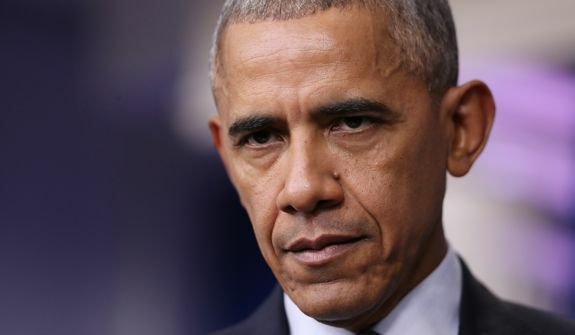 Under President Obama’s leadership of the party, Democrats lost a total of 1,042 seats at the state and federal level, including congressional and state legislative seats, governorships and the presidency. That’s not good. President Obama’s popularity failed to bring people out to vote. He campaigned with the notion that a vote for Hillary Clinton was a vote to support his legacy. The country support for his allies. Although Hillary Clinton brought out the first family for numerous campaign appearances, the country voted for President-elect Donald Trump. Democratic U.S. Senate seats dropped from 55 to 46, their share of House seats fell from 256 seats to 194, and Democratic governorships fell from 28 to 16, according to figures from Ballotpedia. OFA has hired 14 field organizers in states home to key senators as part of its campaign to defend Obamacare, Obama’s signature healthcare law. As the leaks keep flowing around Washington about the Trump administration and the entrenched non-political government employees show their resistance to the new President and his administration, some in the Trump administration are going to feel that President Obama is orchestrating dissent against the new President. Do these efforts amount to an Obama shadow government? Many Republicans made it their life’s work to STOP President Obama to ensure that he would have a failed presidency. Both the Republicans and the Democrats and their efforts to undermine the opposing parties aren’t just an affront to the principles of our democracy, they’re an admission that both parties and the people behind the efforts were NEVER concerned about the people they were sworn to serve. They only cared about themselves and their interests. All of their talk about democracy means nothing. This is why it is hard to get good people to serve and go into politics. We have horrible examples at the highest level of government in the spotlight here in DC. Sources: Organizing for America, multiple media/news sources. Hey Buddy!, I found this information for you: "Is Obama Running a Shadow Government to Further His Agenda Against Trump?". Here is the website link: https://blackmeninamerica.com/is-obama-running-a-shadow-government-to-further-his-agenda-against-trump/. Thank you.